This Christmas bundle offers 26 quotes to help you craft the best holiday products. 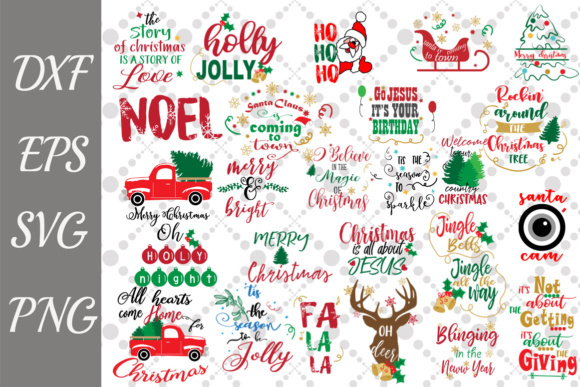 All quotes come with beautiful Christmas related graphics, making each design super special. Perfect for your craft ideas such as printing or sublimating on shirts, invites, cards, notices, gift cards, wrapping paper, gift tags etc. All SVG files are suited for Silhouette, Cricut and any other cutting machine.